Saturday’s Grand Tasting will showcase over 125 phenomenal producers of pinot noir. Consumers will be able to sample up to 400 pinots from every important domestic pinot noir region, from the Russian River Valley to the Santa Lucia Highlands, Oregon to Carneros, the Anderson Valley to the Sonoma Coast to the Santa Rita Hills. Come to Barker Hangar to taste the highly acclaimed 2007 vintage, and talk with the gifted winemakers who created these beautiful wines. Local specialty food purveyors will serve delectables that pair well with pinot. 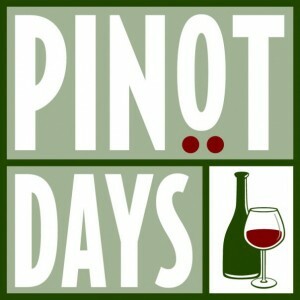 Saturday’s Grand Tasting will showcase over 75 phenomenal producers of pinot noir. Consumers will be able to sample up to 400 pinots from every important domestic pinot noir region, from the Russian River Valley to the Santa Lucia Highlands, Oregon to Carneros, the Anderson Valley to the Sonoma Coast to the Santa Rita Hills. Come to Barker Hangar to taste the highly acclaimed 2007 vintage, and talk with the gifted winemakers who created these beautiful wines. Local specialty food purveyors will serve delectables that pair well with pinot. The Santa Rita Hills is one of pinot noir’s most celebrated growing regions, and the area seems not only to produce some of the most compelling pinot noir on the planet, but to attract some of the most colorful and memorable winemaker personalities as well. Put these wines and winemakers in a room with a view, and you have one night not to miss! Six celebrated SRH winemakers will pour the best pinot in their lineup, and wonderful Wes Hagen, Winemaker for Clos Pepe, will join with fellow Santa Rita winemakers to immerse you in this famed pinot region. You will not want to miss one single articulate, inspired word or sip! Angeleno’s West will prepare pinot-paired appetizers for you to pair. Come find out what makes the SRH legendary. Ten of our favorite pinot producers will each pour their finest pinots to interested customers and will talk about their labors of love making wine from this noble grape. Enjoy some of the best domestic pinots on the planet with Grilled Cheese! Chef Todd Barrie will create some gourmet versions of this classic favorite comfort food, each intended to complement the noble grape. This is an opportunity to taste some of the most acclaimed pinots on the market today, and to meet and talk with the people who create them. Space is limited. Call to reserve a spot TODAY at 310-479-3731, ext. 0. This VIP ticket will allow you to enter Saturday’s Grand Festival two hours early, at 11:00am, to experience a rare clonal tasting and blending seminar. This blending seminar will be interactive, co-led by Davis Bynum’s very gifted wine educator, Greg Morthole, and Pinot Days Co-Producer, Lisa Rigisich. 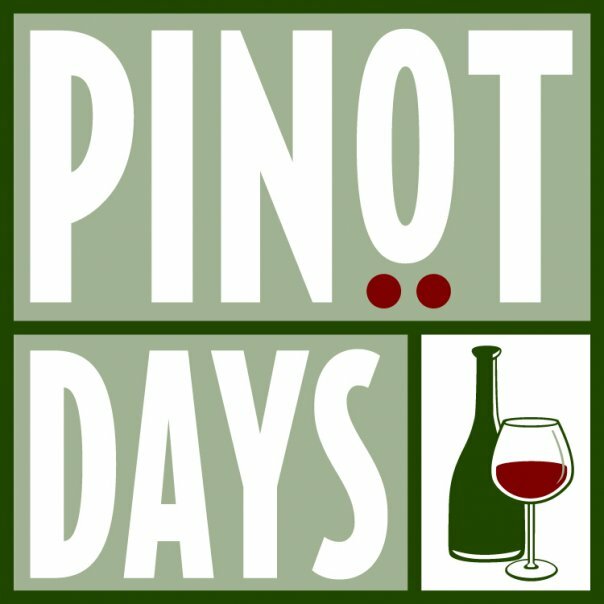 This is a rare chance to taste grapes from the same vineyard, the same year, each derived from a different pinot noir clone, and then to experience the effects of blending them. This process will give you insider insight into the winemaking process, and wow you with the complexity and romance of it. For the last forty five minutes you can roam the festival and taste any of the 80 featured wineries in an intimate setting. The public will be admitted at 1pm, and you are free to stay and taste until our 5pm closing. This is a very special opportunity to go deep with pinot and one of the great legendary wineries whose winemaking helped to put it on the map. A few of our favorite pinot producers will each pour their finest pinots to interested customers and will talk about their labors of love making wine from this noble grape. This is an opportunity to taste some of the most acclaimed pinots on the market today, and to meet and talk with the people who create them. Participating wineries will be posted by December 15th. A few of our favorite pinot producers will each pour their finest pinots to interested customers and will talk about their labors of love making wine from this noble grape. This is an opportunity to taste some of the most acclaimed pinots on the market today, and to meet and talk with the people who create them. Participating wineries will be posted by December 15th. RESERVATIONS REQUIRED – CALL AHEAD!